Me: PEOPLE ARE TERRIFIED OF ME AND MY IDEAS. Man: I challenge you to a debate about those ideas. Me: STOP CAT CALLING ME. Catcalling must mean something different in Queens. Shapiro now says that $10,00 will be given to a charity of Ocasio-Cortez’s choice. She responded by saying that this request was akin to catcalling. Yeah, it’s not—and you’re a public figure so be prepared to be ripped apart every day. This is what you signed up for—and yes, debates are something you do when you run for office or want to change minds in your left wing revolution you’re trying to get going. Then again, when think tanks dole out studies that show the far left’s agenda price tag soars into the tens of trillions, I can see why they wouldn’t want to have a debate. I think we all know Shapiro would have wiped the floor with Ocasio-Cortez. It would have been brutal. So, we lost a chance at seeing Shapiro deliver an epic smack down to leftism. That’s fine. 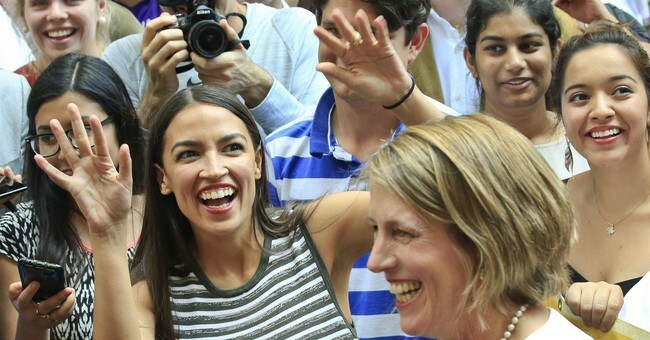 Ocasio-Cortez keeps stepping on rakes. She’s only saved by the fact that she’s from a deep-blue slice of New York City. Shapiro did some fun with her response.